I loved investing in real estate. It was fun, full of calculated risk, and financially rewarding. My wife and I have years of experience “flipping” homes and developing property in New Jersey and California. Although we both stepped away from the real estate business several years ago, we are always on the hunt for a good deal. Buying or selling a house is more than just a business transaction. It is about your family, your community, and your life. Although I may write about the specifics of investing in real estate at a later time, this post will outline some things to keep in mind before hiring a real estate agent to sell your home. If you drive around your town, you can’t miss the dozens of homes for sale, idly sitting on the market for weeks or months. This type of pathetic marketing combined with lethargic real estate agents can result in financially devastating results where only one in five listed homes will sell. Below are a few of the many possible reasons as to why your home hasn’t sold with a real estate agent. Believe it or not, they do exist! These are the agents that mislead by allowing sellers to overprice their home (“Here’s what I can get for you if you list with me!”), not market it properly, fail to screen for qualified buyers, be unresponsive to interest from other agents (if they sell their own listing, they don’t have to split the commission) and keep sellers totally in the dark throughout the process . What’s more, if the agent is abrasive, or has a reputation of being difficult to work with, other agents will not want the hassle of showing any of their listings to prospective buyers! Protect yourself – initially list with them for 30 days and if they can’t get the home sold and/or communicate poorly during that time, find a new agent! Take a class, pass a test. 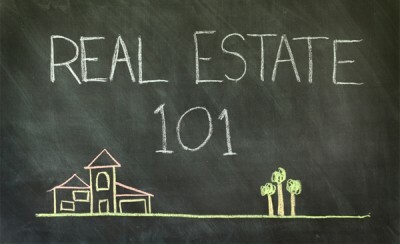 In many states, that’s all you need to become a real estate agent. As a rule of thumb, I don’t work with any agent that has less than 1 year of full time experience. Although many new agents have the best intentions, that lack of experience can cost you dearly. Everyone has a friend or relative that is also an agent – please proceed with caution. It might make Thanksgiving a little awkward if you don’t list with them, but that’s ok. You deserve to have the best real estate representation possible – without compromise. What is the difference between an American Colonial and Cape Cod? You would be shocked to find out how little some agents actually know about real estate! If they stumble or can’t produce a answer immediately, it’s time to find a new agent. Although it is not necessary for real estate license, an agent should be familiar with the different styles of homes and the benefits/shortcomings of each. If an agent hasn’t taken the time to learn their craft, they do not deserve your money. Gone are the days when an agent could simply place a listing with the local multiple listing service, hold a halfhearted open house and wait for another agent to bring forth a buyer. Today’s top performers launch a multilevel marketing plan that includes listing tours for area agents, newspaper and even TV ads, weekend open houses, listing fliers and placements in local real estate publications. Remember: Your home is competing against shiny new houses in those pristine subdivisions with their attractive prices, enticing incentives and community amenities. Face it: Even the best old home needs a little makeover if it hopes to attract a qualified buyer. The good news is most of the work will be cosmetic and relatively inexpensive: a new coat of paint, a few attractive window boxes, and thorough cleaning of floors and carpet might be all you need to attract the right buyer. You’ve seen the shows and commercials’ telling you that it’s a “buyer’s market” and that the “golden time” for real estate is now! Don’t fall into this trap. Because everyone’s needs are different, it is important that your real estate agent spends adequate time to fully understand you needs and lifestyle with honest dialogue and thoughtful questions. Good Luck!